Today I've got something other than a card to show you. 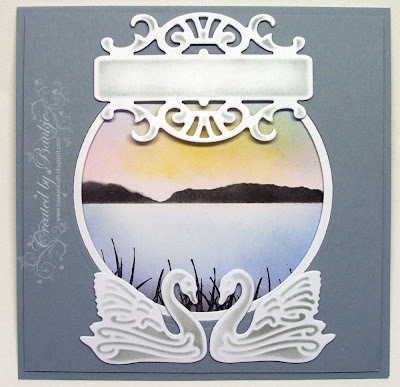 I'm always thinking of different ways too use embossing folders other than just as a background. Well I suppose its still used as a background here but just not on a card. 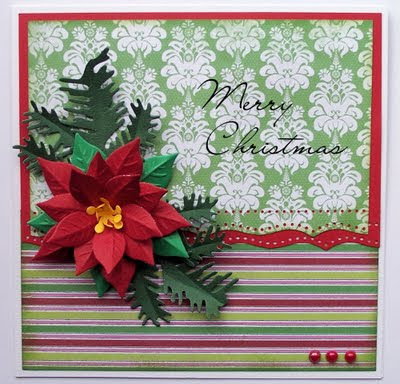 Anyway this is the Funky Poinsettia Craft Concepts folder and after I embossed it I brayered Memento Lady Bug onto the debossed side and added yellow Kindy glitz to the centres of the poinsettias. I then cut three longish triangles from embossed piece and layered them onto white card and then onto the red which have a little more room at the top so I could add some eyelets to thread the ribbon through. Santa's sleigh is a Marianne Creatable and was cut from some red cardstock and I did a little white highlighting with a pen. The reindeer is a Marianne Creatable and all have small black flat back pearls for eyes and Rudolf at the front as a red one for his nose. Here's another card created for FatCatsCardCorner. Its a framed card made with circle nesties. 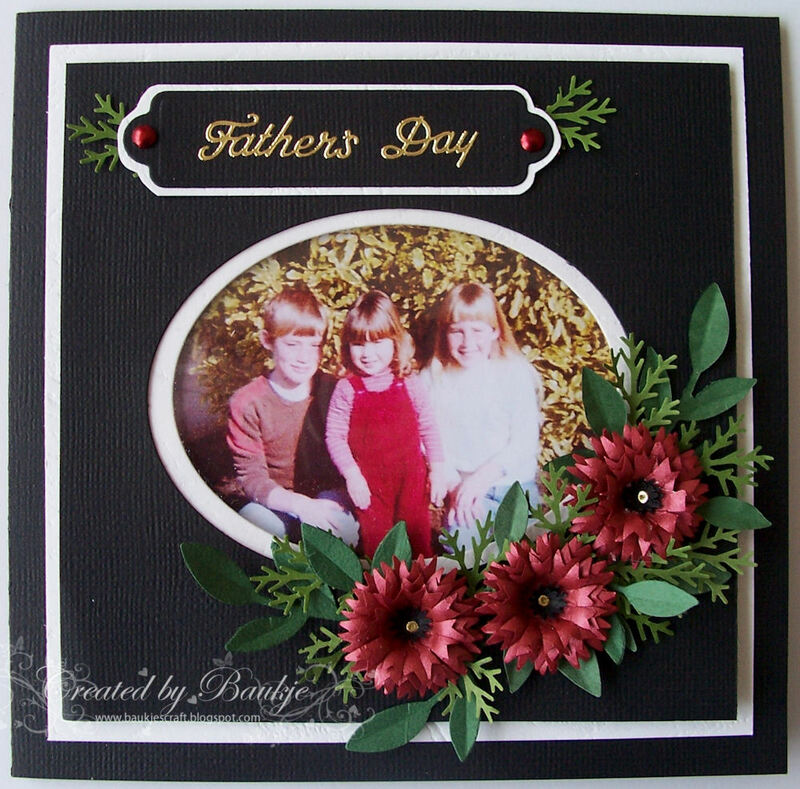 The background I coloured with Memento ink and sponges and a grass stamp. 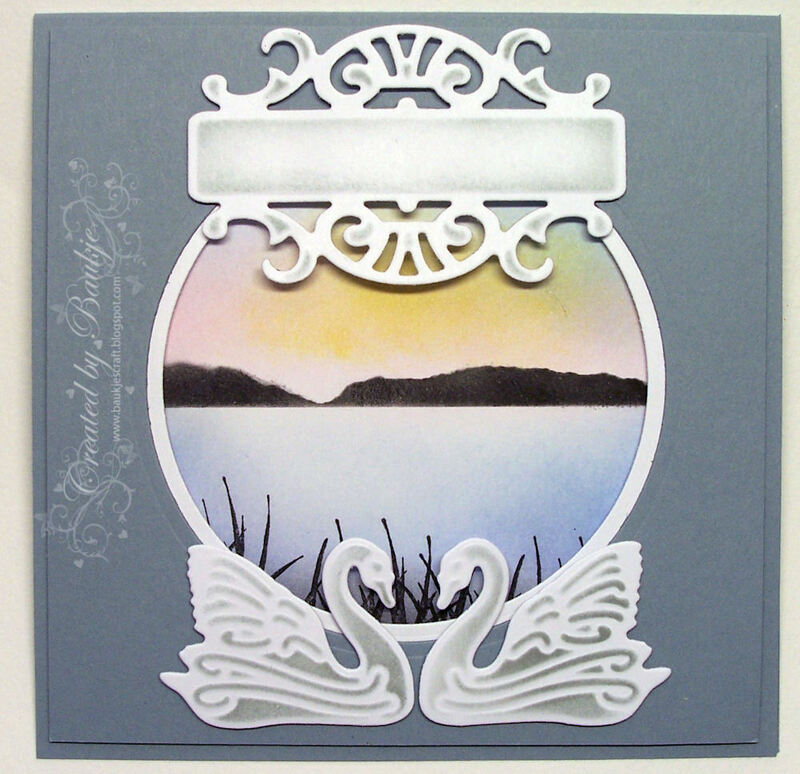 The swans are a Joy Craft Die that I cut, embossed and stencilled with Memento London Fog ink I did the same for the Fancy tags three label. The image is coloured with copics and chalks. The papers are from a Kaisercraft 6½ inch pad Miss Nelly. The corner is a Cuttlebug die which was white but I coloured it with a copic to match my image and then added some stickles to it, I also added some stickles to the girls headphones and the white dots on the background papaer. I'm having computer problems so I hope I get this uploaded before it crashes. The image I have used is a digital stamp from Karen's doodles and I have coloured it with copics. 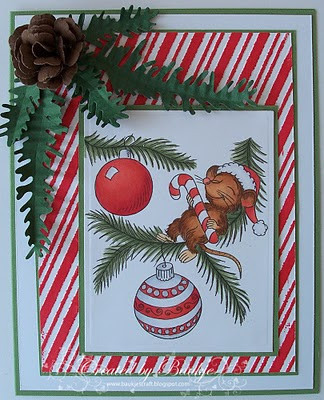 The background is the Cuttllebug embossing folder Candy Cane and I brayered red ink over it after I had embossed it with my cuttlebug. The red and white stripes nearly did my head in the layer always looked like it was cut crooked but after measuring and remeasuring it is straight, even now looking at my card it looks crooked. The Fir branches in the corner are a Marianne Creatable die and I made the pinecone ( I hope it looks a little like a pinecone). Our grand daughter Chloe is turning 14 next month (where did the time go, wasn't she only born yesterday). When I let myself think about how old our grand children are getting, it also reminds me of how old I am getting. 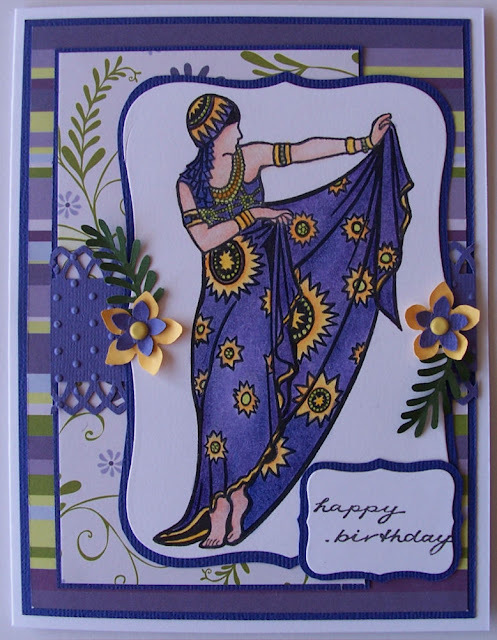 Anyway onto my card I have made for her. 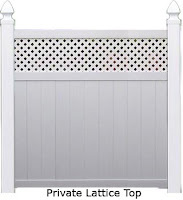 To make it I took my piece of card stock punched the trellis along the top then scored the lines with the Martha Stewart Score Board to represent the slats in the fence. Then I cut some strips of card ran an embossing tool along the back to round them a little then stuck one between the lattice and the slats and one down each side for the fence posts. The fence tops are just punched circles which I gave some shaping to and stuck them on with a dimensional dot. The Bassettgirl digital image was coloured with copics, the clouds I did with Summer Sky Memento ink by sponging around some card cut into cloud shapes. My hollyhocks were made with a small flower punch and the leaves are the Pair of Ferns Die from Cheery Lynn. 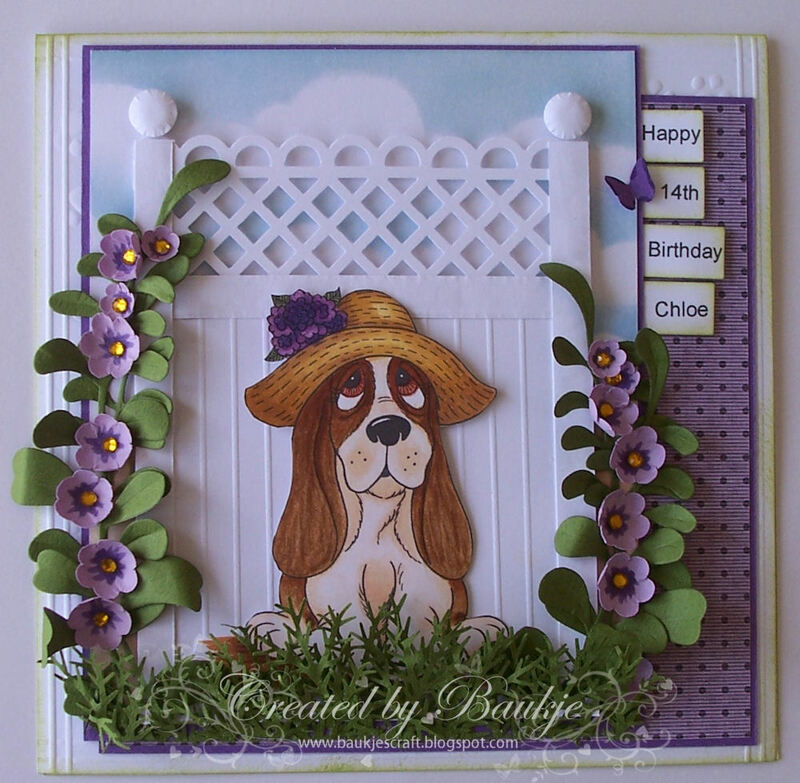 The grass is a Pine branch punch, and what you cant see is the Fiskars Texture plate Paws hidden behind on my base card. and also the Fir Branch which I have placed behind the poinsettia. and the background papers are from the Kaisercraft Miss Nelly and Silly Season 6½ inch Paper Pads. Thank you for taking the time to visit and leaving a comment I appreciate it very much. Gosh, I'm such a lazy blogger, the trouble is I'm not good with words, spoken or written. My family is always telling me to be quiet they can't hear themselves think with all my chatter lol. Anyway onto my Father's Day card for my hubby, I took an old photo of our children and framed it in an oval layered frame card, (it looks flat but it is a frame with an acetate window). the leaves are Sizzlits Little leaves and Mcgill's Pine branch. My goodness two posts in one day, I'll bet you never expected that. This lovely stamp, Celestial Lady is from Judikins Stamps and I have coloured her with ordinary Faber Castell colouring pencils (the type you buy for your children) and blended with odourless mineral spirits. 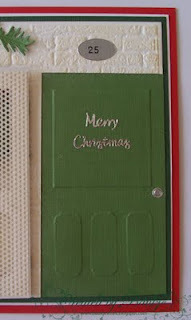 The papers are Vineyard Jersey from Fiskars, I've had these for a very long time. The flowers I made from two different sized kikyou punches. Spellbinders labels used was number eight. I'm going to enter her into the Totally Gorjuss Challenge 96 its a sketch Challenge. For my card I started with the Sizzix Bricked embossing folder then gave the bricks it a bit of colour with Antique linen Distress Ink. 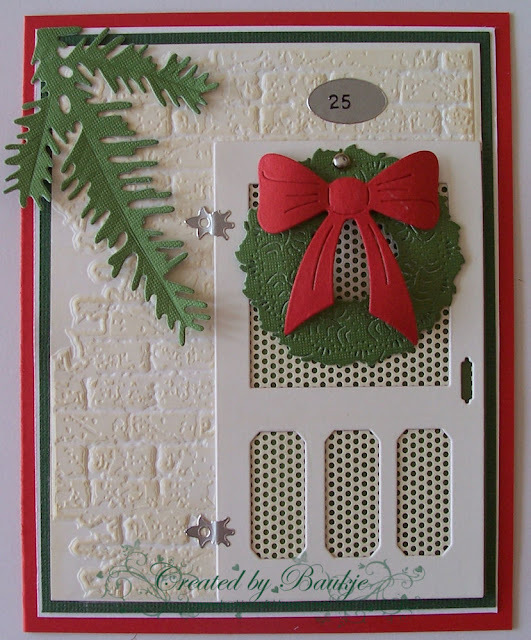 I then cut a section out for my green front door over which I put the white screen door,which is a Cheery Lynn Die that also comes with a cat. 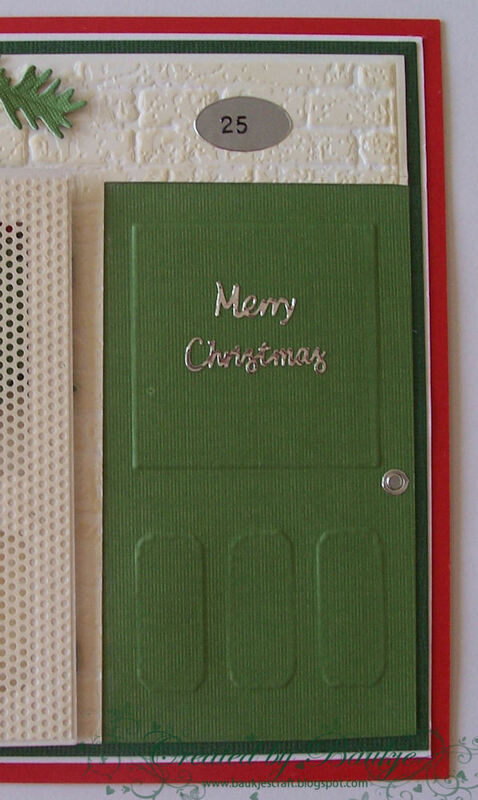 The piece of plastic type stuff I used for the screen of the door was in an embellishment swap so I don't know what it is or where you can get it. The hinges on the door are parts of a peel off. The Wreath and Bow are a Cheery Lynn Die from FatCats, and the branch of the tree that is hanging in front of the house is the Fir Branch Marianne Creatable Die also from FatCats. View with the screen door open.